A MUST SEE!!! CLEAN MOVE IN READY 2 BEDROOM/2 BATH/1 CAR GARAGE HOME LOCATED NEAR ALL CONVENIENCES THE AREA HAS TO OFFER. 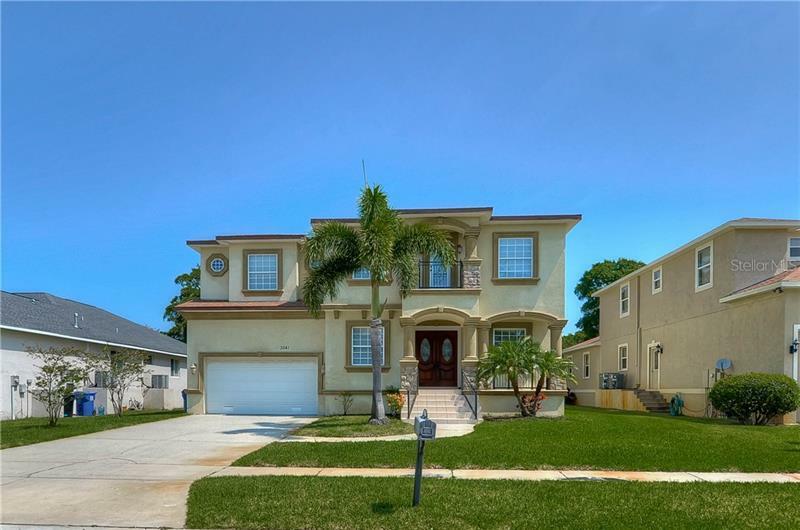 HOME HAS AN OPEN FLOOR PLAN THAT IS IDEAL FOR ALL FAMILY AND FRIEND GATHERINGS. HOME FEATURES NEWER HIGH GRADE GRANITE COUNTERTOPS IN ITS SPACIOUS KITHCEN. THERE IS PLENTY OF CABINET SPACE AND A GRANITE KITHCHEN BAR TOP THAT SPILLS OVER INTO ITS SPACIOUS OVERSIZED FAMILY ROOM. FULL BATHROOM 1 IS LOCATED JUST OFF THE KITHCHEN/FAMILY ROOM. PERFECT FOR ALL EVENTS AND GATHERINGS. OVERSIZED LIVING ROOM WITH GRAND BAY WINDOW IS TASTEFULLY ADORNED WITH WOOD LAMINATE FLOORING. REST OF HOUSE TILED THROUGHOUT FOR EASE IN KEEPING CLEAN AND ORGANIZED. TWO LARGE BEDROOMS WITH PLENTY OF CLOSET SPACE HAVE AN ADJOINING BATHROOM AS WELL. THEY ARE PRIVATLEY LOCATED ON THE OTHER SIDE OF THE HOME. TILED FLORIDA ROOM CONVENIENTLY LOCATED RIGHT OFF THE FULLY PRIVACY FENCED IN BACK YARD THAT HAS PLENTY OF ROOM TO DROP IN A POOL. NO HOA/NO DEED RESTRICTIONS.